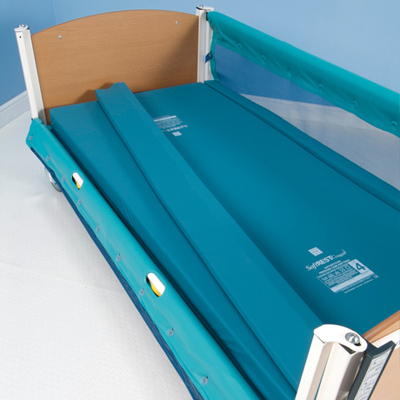 The loose Solite side rail infills are designed to fill the gap between a static mattress on a Sidhil Solite bed and the Solite Safe-Side full length mesh side rail. The loose Solite mattress to side rail infills are designed to fill the gap between a static mattress on a Sidhil bed and the Solite Safe-Side full length mesh side rail. They are comprised of two separate pieces of foam enclosed in a 2-way stretch vapour-permeable cover and are sold as a pair. They can easily be removed to allow the side rail to be fully lowered.